The Best Practices Guide assists motor vehicle departments in improving the issuance of disability placards and plates, the deterrence and detection of fraud in these areas, and the enforcement of disability parking violations. 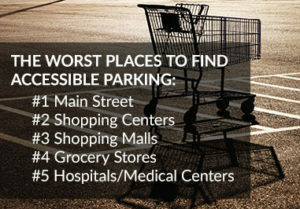 The intent is not to identify the one approach that all jurisdictions should follow but rather to serve as a starting point for an informed local discussion on how best to marry needs for accessible parking with needs for general parking. The Best Practices Guide provides guidance in the following areas; Fraud identification, issuance and renewal processes, product standards, medical issues and requirements, outreach and education, enforcement strategies, and legislation, case law, and legal challenges. This publication resulted from a cooperative agreement between the U.S. Department of Transportation, National Highway Traffic Safety Administration (NHTSA), and the American Association of Motor Vehicle Administrators (AAMVA).